Landed in Washington tonight without incident but as I met my friend at the metro to head off for my first overnight in Burke to my horror I found that the Box of Cannoli that came with me all the way from Boston was missing! I scanned the area, no luck, I checked at the police stop, no luck, I checked with TSA since it was an unmarked box nothing, although one TSA agent’s eyes lit up when I said the missing box contained fresh Cannoli (that’s what you would call a bad sign). I had asked some baggage handlers if they wished to be interviewed, they declined, but they remembered me and said I had the box when I left their area. It’s possible that I put it down when I was giving a gentleman change for a two and someone grabbed it thinking it was some kind of valuable gift. In the end it is a straight loss for me and my own fault. There is an outside chance that either Delta or the Police will give me an holler but I’m assuming that some officer, some thief or some average person is now enjoying a box full of the best cannoli that Dutch Kitchen can provide. Yet I have no business complaining, on the way to the house we gassed up and at the station two police cars had pulled aside a young man and two of his friends. He had been stopped for a taillight but was driving with a suspended license so he had to wait while the police arranged to tow the vehicle. Compared to him I”m doing much better. If losing that box of cannoli is the worst thing that happens to me in Washington then I’m doing fine, but I do apologize to my blogger buddies that I am not able to provided the cannolli. I feel guilty particularly since I’m sipping 18 year old Chivas Regal with a good friend as I type. I’ll wager the person who is eating that cannoli tonight might be jealous, at least a little bit. We demand the death penalty! This has the makings of a major conspiracy! 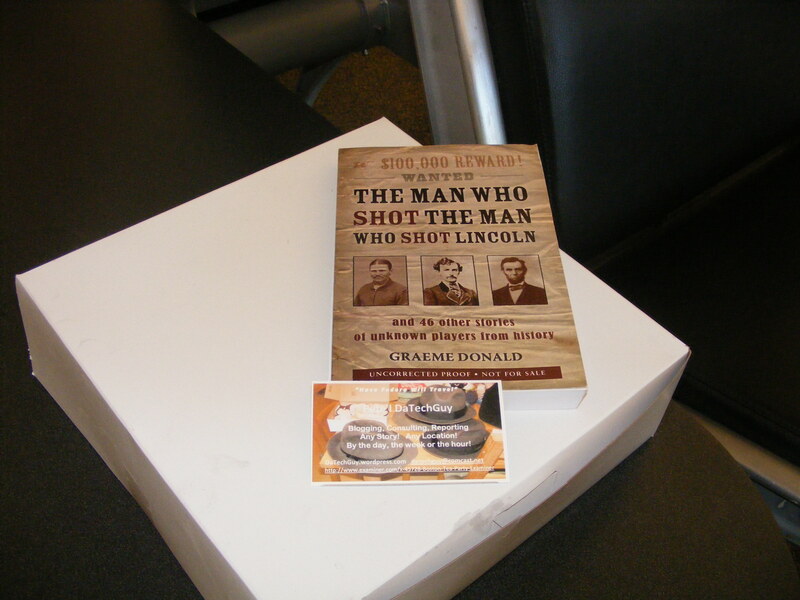 Perhaps a wayward Democrat absconded with the pastry to pay down the debt. Or Maybe it is being handed out to the homeless. You never deserve that Cannoli in the first place — I am sure you only acuired it by bringing other hard working members of society down! Racist! Fascist! Will the democrats propose a cannoli bailout?